Xceedance is led by a team of entrepreneurs and industry experts who saw an opportunity to build a resourceful company from the ground up. Xceedance was formed with a focus on delivering responsive consulting skills, managed services and innovative technology solutions to the insurance industry. The passion and vision of the Xceedance leadership team has resulted in the company’s rapid growth and reputation as a beneficial, trustworthy business partner for insurers. Arun Balakrishnan has built his career around promoting innovation and transformation in the insurance business. He has more than 10 years of experience launching start-ups in the industry. Arun’s vision and industry experience are rooted in a desire to revitalize processes, streamline operations and provide opportunities for growth. Before founding Xceedance, he served as the chief executive officer for Berkshire Hathaway Insurance in India. In this role, Arun established and executed the company’s market entry strategy by building a superior team, skilled in insurance processes, technology and back office operations. Having initiated and nurtured business relationships with various insurance and reinsurance companies over the years, he has gained an intimate understanding of the way insurance businesses operate, underlined by in-depth knowledge of the various functional areas within insurer organizations, as well as hands-on experience with business strategy and planning. Prior to Berkshire Hathaway India, Arun founded and functioned as chief executive officer for an insurance aggregation portal company which secured venture capital funding from one of the top internet companies in India. Originally, he started his career in the Merchant Marine as a deck officer on cargo ships and oil tankers. Arun graduated with a bachelor’s degree in Nautical Science from Mumbai University and completed his master's degree in business administration at the Indian Institute of Management in Ahmedabad. Amit Ranjan is head of service delivery at Xceedance, including the areas of insurance operations, underwriting, CAT modeling and exposure management, actuarial services, policy service, data sciences, claims, and finance and accounting. He brings steadfast leadership and extensive experience in service-oriented operations support, and in knowledge-based analytics for global insurance and reinsurance companies. Amit has more than 17 years of experience in insurance analytics, exposure management and CAT modeling. He has cross-functional expertise which includes business development and strategy, client relationship management, building centers of excellence, leading successful operations and directing diverse workforces. In previous roles, he worked with leading organizations such as RMS, GE Insurance, Flagstone Re and Torus, supporting clients in the Americas and across multiple geographies. Amit has a master’s degree from IIT Roorkee. Amit Tiwari leads the Xceedance technology services team, including core systems, business intelligence and reporting. He also leads Xceedance consulting services, technology delivery, product development and global IT infrastructure management. Additionally, the technology team delivers applications and products, ranging from rating modules and workflow management systems, to corporate websites and MIS. With profound knowledge of the technology and operational needs of insurance organizations, Amit focuses the Xceedance technology services team on delivering consistent business improvements for clients. Prior to helping launch Xceedance, Amit led the technology team for Berkshire Hathaway India. In that role, he was responsible for architecting and implementing the IT infrastructure for online sales, customer support, payment processing, digital marketing and MIS. He also has several years of technology and insurance experience at IBM and RBS where he executed strategic projects with more than $100M budgets related to rating platform redesign, Solvency II and the replacement of a claims management system -- for flagship UK insurance brands such as Direct Line, Churchill, Tesco, Prudential and Green Flag in personal lines, and NIG in commercial lines. Amit graduated from the Indian Institute of Technology in Mumbai (IIT) and brings 10 years of techno-functional experience in the insurance and retail banking domains to his role at Xceedance. Manish Khetan is responsible for corporate strategy at Xceedance. He focuses on growth and business planning, insurance capabilities development, client relations, organizational learning and development, and mergers and acquisitions. Manish has 10 years of experience in insurance operations. Prior to Xceedance, he worked at Berkshire Hathaway India as vice president and head of operations and previously as an operations consultant in two organizations. Manish has a bachelor’s degree in Chemical Technology from HBTI Kanpur and a master’s degree in business administration from IIM in Ahmedabad. Narendra Marwah is responsible for the finance and administration functions at Xceedance. He brings more than 27 years of diverse experience, managing Indian and international accounting, taxation and finance operations. Throughout his career, Narendra has worked with leadership teams on strategic business planning, process streamlining, and management of funds and budgets. His contributions have helped to improve operations, impact business growth and maximize profitability. Narendra has in-depth knowledge and experience in the implementation of U.S. GAAP, Indian GAAP, M&A, transfer pricing policy, and transfer pricing assessments at TPO, CIT, DRP, ITAT and High Court levels. He has worked on SEC and SOX compliance, SEZ and STPI related regulations. Previously, Narendra headed the India finance division at Host Analytics Software. He has also worked at Price Waterhouse, HCL Limited, Interra IT, ADP Pvt. Ltd., Mentor Graphics and Avantha Business Solutions. Narendra has functioned as a member of the Tax Committee in IACC, PHD Chamber of Commerce, CII and NMA. He was a guest faculty member at Amity Business School, Bimtech, IILM, IIPM, JRE and Northwest University. Narendra is a chartered accountant and earned his doctorate degree in commerce. Justin Davies is tasked with building the Xceedance brand and expanding the team within the EMEA (Europe, Middle East and Africa) region. His interactions with clients focus on adding value to their business through services, products and partnerships. Justin has 25 years of experience in financial services and insurance with a background in exposure management, CAT modeling, spatial analytics and geocoding. He joined Xceedance from Xuber where he was director of the business unit that developed and launched the Xposure software platform. Prior to Xuber, Justin spent more than five years at EQECAT where he ran the client facing side of the business for the UK and Asia Pacific region. He was also at Pitney Bowes for three years where he managed the UK and Ireland financial services team for the spatial analytics product lines. Marek Kaszczyc leads a multifaceted Xceedance service team in Krakow that supports operations and European expansion for key clients. He brings 17 years of experience and proven domain capabilities in IT operations and leadership. Most recently, he served as head of the Aon Business Centre in Krakow, Poland. In his career, Marek has led teams through major consolidation projects while defining the vision and setting the direction for strategic transformation programs. Marek holds a bachelor’s degree in organizational management from Bogdan Janski College of Management and Enterprise in Poland. Monalisa Samal oversees CAT modeling and Exposure Management solutions and services at Xceedance. Her team serves the business operations of clients across the U.S., Europe, Australia and Southeast Asia. The team provides a range of CAT modeling services, including account modeling, technical pricing, process efficiency, portfolio reporting, profitability analysis and geospatial analytics. Monalisa brings 11 years of experience in the areas of client and operations management, individual risk-based pricing, overall portfolio optimization and management and model validation. She has assisted in the application of models in decision making, designed custom solutions for clients, and managed substantial and expanding teams of analysts. Monalisa was one of the first leadership hires for Xceedance, joining just two months after the company’s launch. Prior to Xceedance, she worked in diverse areas of risk and modeling for various perils and regions. Sachin Kulkarni is responsible for end-to-end execution of consulting engagements for Xceedance clients, with a focus on process optimization, technology modernization and digital transformation. Sachin has more than 20 years of experience in technology and operations across insurance, distribution/supply chain and services industries in multiple geographies. His experience encompasses all aspects of IT delivery. Sachin has held roles as global head of IT architecture at Westcon and head of US/Canada IT strategy at Marsh. He led application delivery for all of global applications for Marsh, including business intelligence, financial systems, client and market applications, and sales and marketing. Sachin is also a volunteer with Taproot Foundation, providing pro-bono services to not-for-profit organization. He graduated from University of Pune in India and completed graduate studies at Stevens Institute of Technology in New Jersey. Kaushik Gohain leads the operations team at Xceedance. With more than 13 years of experience providing BPO services to the insurance industry, he manages large scale operations and transition initiatives for clients. Kaushik's knowledgeable teams drive results by transforming critical processes such as underwriting, accounting, finance, claims, analytics and compliance. Prior to joining Xceedance, he led a team of more than 400 specialists and managers at Genpact and was responsible for managing service delivery for a leading reinsurance client. Kaushik holds a master’s degree in business administration from Narsee Monjee Institute of Management Studies in India. He is Six Sigma Green Belt certified and maintains certifications in lean management and P&C insurance from the Insurance Institute of America. Massood Abolfazli leads the marketing and communications team at Xceedance. With 28 years of experience in the insurance and financial services industry, Massood has directed strategic communications, marketing, media relations and thought-leadership initiatives for private and public companies. He has contributed to revenue generation and enterprise growth through digital and conventional marketing programs for brand awareness, product positioning and sales enablement. Massood has also led corporate communications, industry relations and event management. Prior to joining Xceedance, he served as vice president of marketing at FirstBest Systems after a decade as head of communications and media relations at Verisk Analytics and its flagship ISO subsidiary. Before joining Verisk, he was vice president of marketing at ISO Insurance Technology Solutions (formerly AscendantOne). Previously, Massood served as financial services industry marketing director at Lawson Software, and he worked in marketing leadership roles at Allenbrook, Vertafore/AMS Services, Delphi Information Systems and McCracken Computer. George Freimarck is responsible for managing business development and expanding the Xceedance client base in Europe. He has an extensive background in providing solutions to the risk transfer industry, with a focus on reinsurance, risk syndication, and advanced analytics. George was a practice leader with CoreLogic, providing business development and account management leadership for the EQECAT suite of CAT modeling analytics for global insurers, reinsurers, MGAs, ILS managers, and brokers. Previously, he was senior vice president at Munich Re where he was intricately involved in risk syndication for financial market clients, operating an intra-group brokerage service, and recommending reinsurance solutions for P&C insurers and reinsurers. George began his career as a reinsurance broker with Guy Carpenter (a division of Marsh) with client responsibilities for Japanese, Swiss and U.S. insurers. He attended Columbia University, earning bachelor’s, master’s, and Master of Philosophy degrees in modern European history. Vasudhara Srivastava leads the human resources function at Xceedance, with responsibilities for people management, including organizational capability building and people practices. She has 20 years of diverse work experience across HR and operations at global service provider organizations. Vasudhara joined Xceedance from Quatrro Global Services where she served as vice president of human resources, leading talent management, acquisition, and compensation functions. In her role as a strategic partner with the business, she managed talent requirements, developed retention practices and designed innovation triggers to enhance business impact. In addition, she directed a robust team engagement strategy — including programs for top talent, which were integral to the development of high performing teams. In previous roles, Vasudhara has worked at GE Money and as a member of the talent acquisition team at Genpact. An economics post-graduate from Delhi School of Economics, she attained an honors degree in economics from Lady Shri Ram College at Delhi University. Binu Nair oversees the administration and facilities team at Xceedance. He has more than 17 years of experience in office administration and policy formulation, real estate management, travel/transport, purchasing and vendor management. Prior to joining Xceedance, Binu worked as associate director of administration and facilities at PwC where he headed the northern region of the PwC India operations. Binu has also worked at Thales, IBM, Patni Computers, Oriflame India, Zee Turner. He has extensive experience in strategy planning, estimation and costing, procurement, negotiations, analysis and budgeting, new office set up and people management. Binu holds a bachelor’s of commerce degree from Jiwaji University, Gwalior, India. Prateek leads the technology team at Xceedance and spearheads large-scale transformation programs across insurance functions such as claims, underwriting, catastrophe modeling, and policy service for re/insurers worldwide. He brings 14+ years of proven property and casualty insurance domain experience in managing enterprise technology, data science, and insurtech initiatives. Prateek specializes in advancing strategic technology-driven initiatives for insurance industry participants, including new business launch, customer-centric platform design, IT consolidation post mergers and separation, legacy platform overhaul, and geo-specific regulatory compliance. Prior to Xceedance, Prateek worked at organizations such as IBM, RBS, and Syntel, and was responsible for the design and delivery of major digital transformation programs. Saurabh Mehta is responsible for managing and growing the Xceedance delivery center in Bangalore. He also manages the development of insurance/reinsurance platforms offered by Xceedance. Saurabh brings extensive experience in supervising various aspects of technology solutions, including applications, infrastructure and software. Prior to joining Xceedance, he worked for over 11 years managing solution sales and client relationships at IBM. He has a deep understanding of the technology solutions that are deployed in the financial services industry, and worked closely with banking and insurance clients, consulting on the latest technologies and helping identify strategic areas for technology investments. Saurabh holds a bachelor’s degree from IIT, Madras. Gourav Mahajan manages the insurance finance and accounting team at Xceedance. He is a qualified chartered accountant with more than 14 years of experience in handling accounting, audit and SOX controls and procedures in the re/insurance industry worldwide. Gourav brings extensive understanding of reporting requirements to credit rating agencies and local finance and accounting regulations in Bermuda and the United States. Prior to Xceedance, he led investment accounting for a U.S. reinsurer. Gourav has also worked as an external auditor at global consulting firms, focused on captive insurance and SEC clients in property/casualty and life reinsurance markets. Travis MacMillian heads the global business development team, working to expand Xceedance services worldwide. An insurance expert focused on the property/casualty industry, Travis brings 30 years of experience with strong acumen in underwriting, operations, marketing, business development, claims, reinsurance, and analytics. He has extensive leadership and management experience, building and running teams in the insurance industry and supporting insurance companies. Prior to joining Xceedance, Travis was the vice president of insurance at Genpact International. He has also served in leadership roles as a regional vice president at FirstBest Systems (now part of Guidewire), the president and chief operations officer at Greater New York Mutual, and the vice president of commercial insurance and business development at OneBeacon Insurance Group. Travis began his insurance career as an underwriter trainee at Commercial Union. Travis holds a bachelor’s degree in marketing with a minor in accounting from Woodbury University. He also attended the High Potential Management Development Program at CEDEP in Fontainebleau, France. Prashant leads the claims and credit control teams at Xceedance, bringing 17 years of experience in re/insurance markets. He has supported claims and credit control operations for multiple insurance organizations. Prior to joining Xceedance, Prashant served as assistant vice president at Genpact, where he oversaw the reinsurance operations division for a global insurance firm. His responsibilities included supporting the accounting, reporting, and operations functions for clients in North America, Europe, Asia Pacific and Africa. He has also led reengineering projects in accounts payable, accounts receivable, and travel and expense processes at a major insurance company. Prashant holds a bachelor’s degree in insurance and is a certified Lean Six Sigma black belt. He is certified by TARN (The Accounts Receivable Network) as an accounts receivable manager, and maintains certification from the Insurance Institute of India for property/casualty insurance claims. Amar Gomber is responsible for the finance and legal functions at Xceedance. He has 17 years of experience in managing various facets of finance across diverse industries, including manufacturing, FMCG, financial services, and IT. Amar is a chartered accountant, company secretary, and certified information systems auditor. Prior to joining Xceedance, he was vice president of finance at Quatrro Global Services. In his professional career, Amar has worked at LeasePlan, GE Money, Aditya Birla Corporation, and UB Group. Xceedance hires and retains an industry-savvy workforce skilled in insurance operations, technology, analytics, process optimization and digital enablement. Our teams understand the business of insurance — making us an active, consultative partner in helping insurers enrich policyholder service, increase new business and grow revenue. Clients expect integrated insurance solutions and ongoing expertise from Xceedance. The company’s industry-trained experts collaborate closely with insurance organizations worldwide to launch new products, drive operations, implement cutting-edge technology and deploy analytic resources. As Xceedance continues its journey of rapid growth and expansion of innovative managed services for the global insurance industry, the company will be guided by a group of seasoned insurance professionals. The Xceedance board of directors is composed of executives with distinguished and varied international careers, representing diverse expertise and leadership across a broad range of industry disciplines. John Begley was appointed to the Board of Xceedance in January 2017, having previously worked at Aon UK Ltd for 13 years in a variety of roles, notably Chief Operating Officer – Global Broking Centre and EMEA, and Director Operational Excellence, EMEA. Prior to joining Aon, John worked for BAA (UK airports operator including Heathrow and Gatwick) as Group Financial Controller. He also worked at Royal Mail (UK Post Office), with responsibilities for Shared Services and the implementation of SAP. John is a qualified accountant with an MBA from Manchester Business School. Todd Link is Senior Vice President, Chief Operating Officer and Chief Financial Officer of Berkshire Hathaway Specialty Insurance, responsible for Operations, Systems, Administration, and Finance. Prior to joining BHSI, he was Senior Vice President and Chief Finance Officer of Lexington Insurance Company. Prior to that, Todd was the Chief Financial Officer and Chief Compliance Officer at MPM Capital, a dedicated life sciences venture capital firm. Todd holds a Bachelor of Arts degree in Economics from California State University, Long Beach and a Master’s in Business Administration from Suffolk University. Todd holds the Chartered Financial Analyst designation. 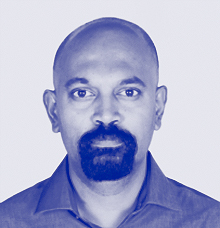 Nithyanandan Radhakrishnan (Nithya) is founder and partner at Brown Tree Consulting, based in Bangalore, India. He offers consulting and advisory services to clients across the U.S., Europe, Asia and India in the areas of investments, business and valuation services, legal and tax advisory, and M&A and business structuring. Brown Tree Consulting clients include investment offices, private equity firms, angel investors and venture capital funds. Nithya was formerly the General Counsel of Infosys Ltd (NYSE: INFY) and is licensed to practice law in California and India. In addition to his role on the board of Xceedance, Nithya serves as a board member at Cloudtail India, Prione Business Services, and Anviti Insurance Brokers. Uday Virkud is committed to helping businesses grow. His professional career of 30 years spans executive leadership roles in business operations, global business development, risk management analytics, and product development. With an extensive international background, Uday has helped companies develop business and build operations in many countries including the United States, United Kingdom, Germany, Singapore, India, China and Japan. He has a proven track record of revenue growth and market leadership through visionary business strategy and insightful executive leadership. Before joining the Xceedance board, Uday was President and CEO of 3E Company and Executive Vice President at AIR Worldwide. He has a BTech in Civil Engineering from IIT Bombay, a MS in Civil Engineering from University of Massachusetts at Amherst, and a MS in Engineering Management from Northeastern University. Arun Balakrishnan has built his career around promoting innovation and transformation in the insurance business. He has more than 10 years of experience launching startups in the industry. Arun’s insurance industry experience is rooted in a desire to revitalize processes, streamline operations and provide opportunities for growth. Prior to founding Xceedance and serving as the company’s CEO, he was the chief executive officer of Berkshire Hathaway Insurance in India. In that role, Arun established and executed the company’s market-entry strategy, by building a superior team skilled in insurance processes, technology and back office operations.